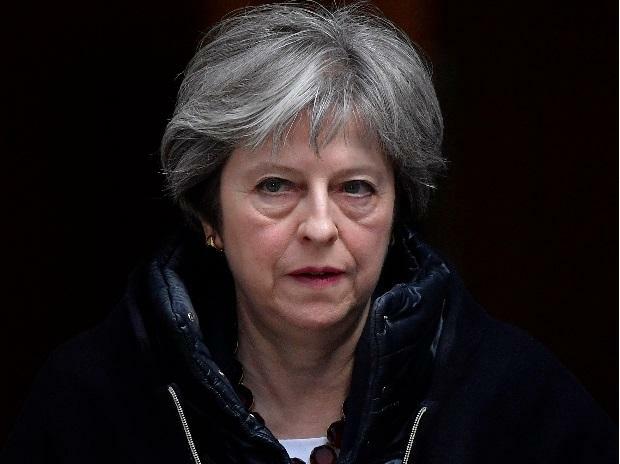 Prime Minister Theresa May was left "crushed" and "humiliated", Britain's newspapers said Wednesday as they raked over the fallout from parliament's huge rejection of her EU divorce deal. Daily papers said May's deal was sunk after the huge vote against the agreement struck between May's government and Brussels, as she prepared to fight a no-confidence motion on Wednesday. The Daily Telegraph's front page read: "A complete humiliation", following the 432 to 202 vote by MPs to reject the deal. Its editorial said May had misjudged parliament and the EU had failed to understand the "essential issues of sovereignty and freedom" behind the Brexit vote. The broadsheet's parliamentary sketch writer Michael Deacon said May's pre-vote plea to MPs "had all the brio of a mouldy gym sock". "She sounded as winningly persuasive as a mother snapping at her children to eat up their cabbage or go to bed hungry." "Brextinct" said The Sun tabloid's front page. "May's Brexit deal dead as a dodo", said Britain's biggest-selling paper, with a mock-up picture of the PM as the extinct flightless bird. "There exists no leadership in either the government or the opposition capable of taking us through this mess," he wrote following the vote. "Theresa May isn't any good; she doesn't have a fiendish, secret strategy... she doesn't know what to do. "Parliament must wrest control from a zombie prime minister, a zombie cabinet and a zombie opposition." The Daily Mirror's front page said: "No deal, no hope, no clue, no confidence". The tabloid called her "the humiliated PM". The Daily Mail's headline said: "Fighting for her life". The tabloid said the defeat left May's power "hanging by a thread", calling it a "devastating result, which threatens to plunge the Brexit process into chaos". The Financial Times newspaper ran a headline reading: "May's defeat spells trouble for the EU's Brexit approach." "Huge loss leaves PM in race against time," the broadsheet said. The Daily Express headline said "Dismay". "Now it's time for MPs to do their duty and work with Theresa May for a deal that satisfies the 17.4m who voted for Brexit... Don't fail us!" it said on its front page. The Scotsman's front page headline simply said: "Crushed". "May suffers historic defeat as Tories turn against her," said The Guardian's front page. "The PM leads a party that is divided and a country stockpiling food and medicines as if preparing for war. She needs to humbly reach out to her opponents and find a way to prevent Britain crashing out of the EU," its editorial said. "The country now faces a situation without precedent in its constitutional history: how to reconcile the sovereignty of the people with the sovereignty of parliament.